The Hokianga town of Rawene is full of charm with its rich variety of historic buildings, art galleries and cafes and stunning water views. Enjoy a walk around the village then relax in a cafe before catching the ferry to Kohukohu. 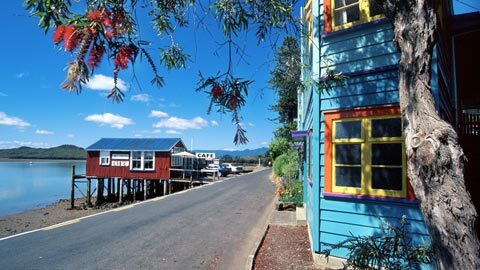 Rawene is New Zealand's third oldest European settlement and is home to growing population who appreciate its beauty and lifestyle. Rawene has a number of useful shops and a service station where you can buy fuel and bottled gas. The ferry to the north shore of the harbour sails on the half hour except at peak times when it shuttles back and forth. This 1860s house was built in Rawene as the final home of one of New Zealand’s earliest traders and ship owners. James Reddy Clendon was a witness to the Treaty of Waitangi in 1840, a member of the first Legislative Council from 1841-44 and a magistrate from 1850. His second wife Jane, daughter of Dennis Cochrane and Takotowai Te Whata of Hokianga was widowed in 1872. Despite her husband’s debts, she managed to keep family and possessions together until her death in 1919. 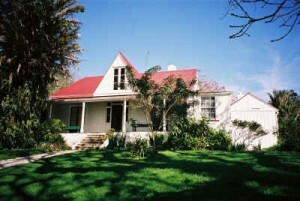 The house and contents were purchased from the family in 1972. Rawene started as a timber centre, with a mill and shipyards established in the early 19th century. An attempted settlement by the first New Zealand Company in 1826 failed. Captain James Herd in 1822 had taken out the first shipment of kauri from the Hokianga in his ship Providence. In 1826 he returned as an agent for the company sailing the Rosanna in company with the Lambton, and 30 settlers on the Rosanna. They began at Stewart Island/Rakiura and sailed up the east coast, leaving Lambton as a place name in Wellington, eventually rounding North Cape to enter Hokianga - his old stamping ground. Herd negotiated to buy a vast tract of land. The deal was contested but for decades Europeans referred to the town as "Herd's Point". Later it was called "Hokianga Township", and in 1884 it became "Rawene", possibly to identify the post office and telegraph. The post office was operating by 1845 - one of eight in the country. James Reddy Clendon, previously the United States Consul to New Zealand, settled in Rawene in 1862 and served as the local magistrate under the Native Circuit Courts Act until 1867. His house still stands and is open to the public.